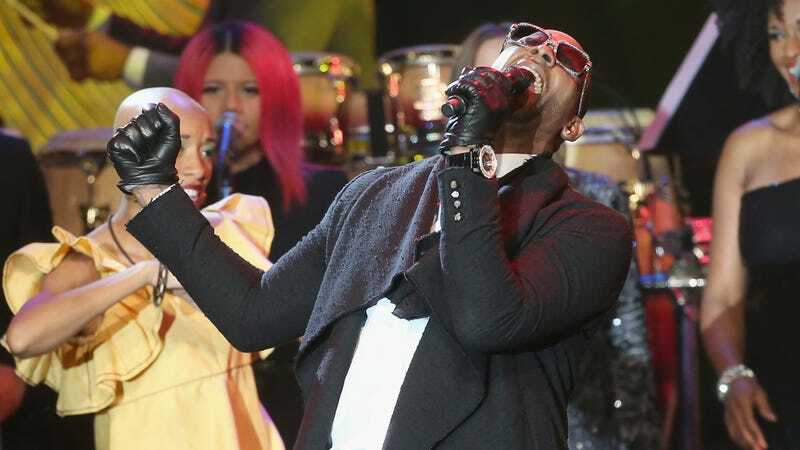 Recording artist R Kelly performs onstage during the 56th annual GRAMMY Awards Pre-GRAMMY Gala and Salute to Industry Icons honoring Lucian Grainge on January 25, 2014 in Beverly Hills, California. The #MuteRKelly movement, founded by Oronike Odeleye and Kenyette Barnes, has rightfully been on these streaming platforms’ and record labels’ necks, which has resulted in true progress. Following the Surviving R. Kelly doc and the movement’s persistent callout for accountability, RCA/Sony recently ended their relationship with the R&B artist. Now, according to Vulture, Spotify is allowing their listeners to literally mute Kelly. To clarify, this choice isn’t specifically in reaction to the Pied Piper; it’s a general feature. Still, it applies. If you remember, Spotify received some heat after they backpedaled on their “hateful conduct” policy in relation to abuse allegations against Kelly and the late XXXTentacion. Activist group Color of Change was one of the leaders supporting the ban and assisted the larger movement to put pressure on RCA/Sony and various streaming platforms to disassociate with the alleged abusers. However, after music industry pushback, the popular streaming platform shifted its strict ban, instead vowing to discontinue promoting the two artists. And, as such, a compromise was made: the general muting feature. Thing is, the feature dropped pretty quietly—and surprisingly, on Martin Luther King Day—a choice that blindsided Color of Change. Thus, without the publicity backing of the activist group, I’m pretty sure many people within the black community still don’t know about it. So, if you pull up any musician’s page on the app and select “don’t play this artist” located in the top-right settings, that particular artist won’t show up on future playlists or radio stations. It won’t even play if they’re listed in your own library. The muting is real. One thing, though: this feature doesn’t work if the artist has a feature on someone else’s song. It’s a way for people to signal to companies, ‘This artist doesn’t have a place on my playlist, and I don’t want this artist to make money off of me,’” noted Collins-Dexter. Go forth, prosper, and live an R. Kelly-muted life.